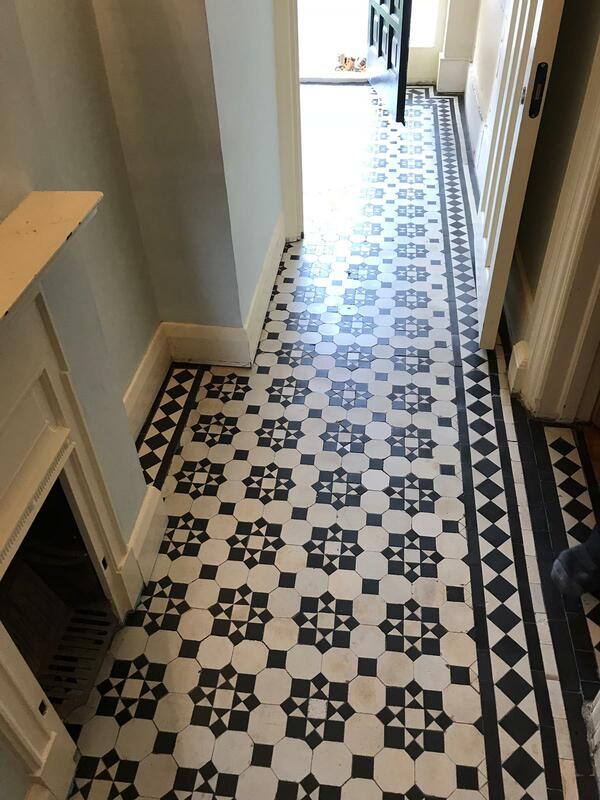 It is not uncommon for the owners of houses built in this era to discover original Victorian tiled floors and hallways. Sometimes they have been covered up with carpet or linoleum to match the trend of the day and sometimes they get covered up because they have been neglected and though beyond economical repair. Trends have now been reversed and its becoming increasingly popular to restore them and bringing them back to their former glory and who can blame them, period features are in demand and they add value to a property. 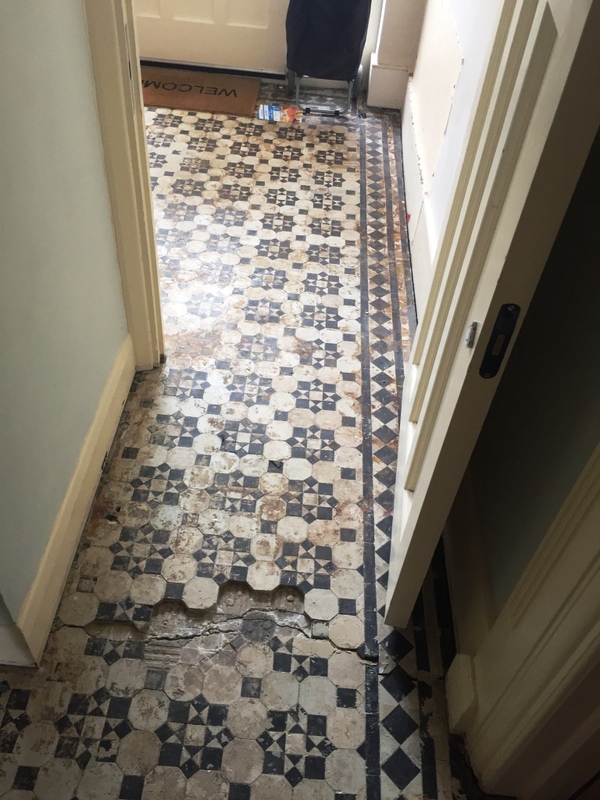 This was the case with this floor at a house in Palmers Green, North London, affectionately known by the locals as ‘Little Cyprus or Palmers Greek’. 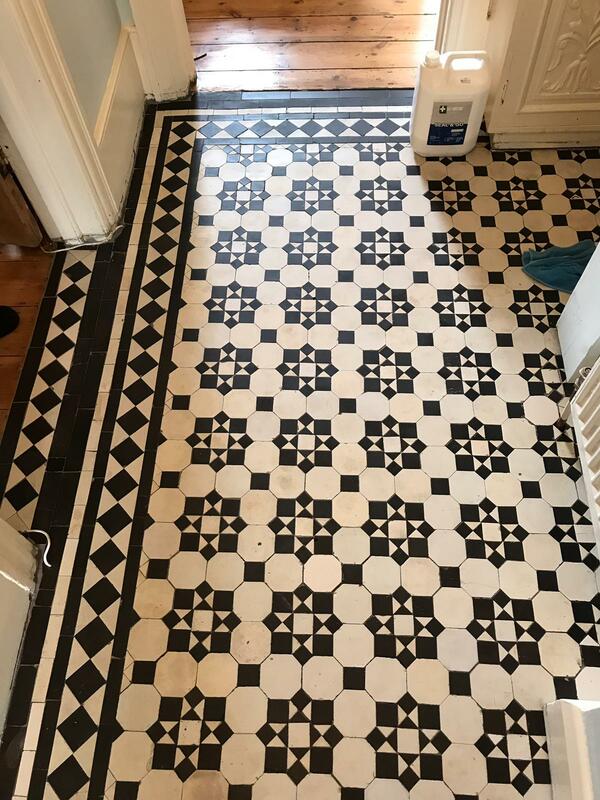 The house is situated in a street with similar properties of the same age, so it’s likely there are a few hidden Victorian tiled floors on this street! 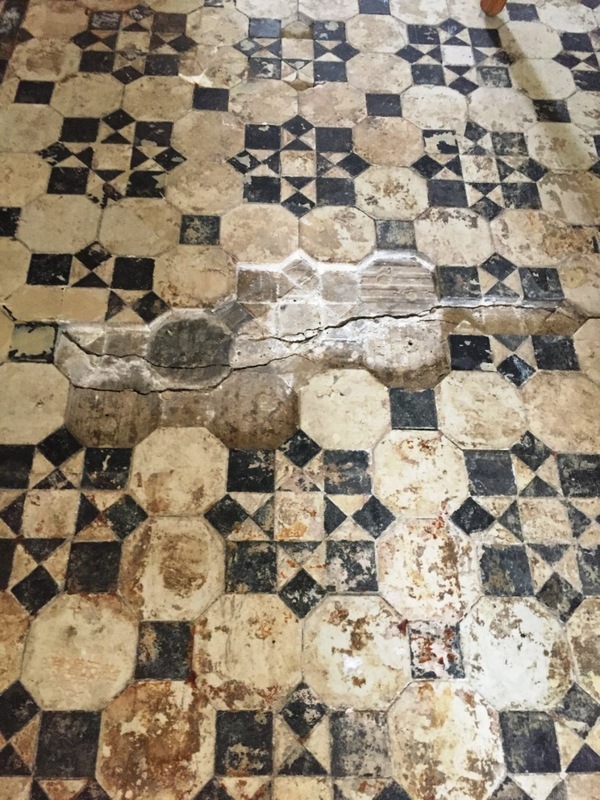 The client asked me to visit and survey what could be done to restore the floor. As you can see from the photographs the floor in the hall is a lovely example of geometric black and white tiles. However, it is in quite a state with, cracked and missing tiles and many years of built up dirt. 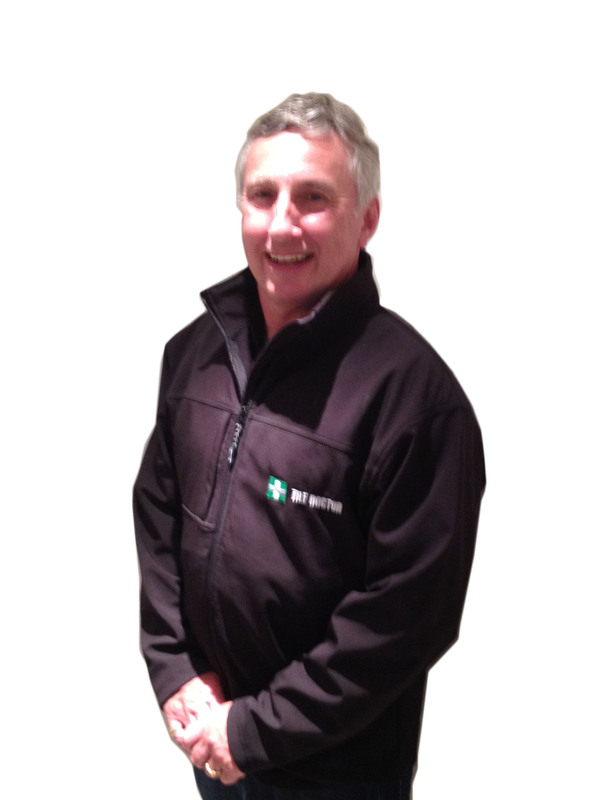 I discussed with the client the options and we agreed a price to carry the work out, over a couple of days. Our first task was to protect the woodwork with protective tape including the doorway threshold edges, skirting and doors. Next, we began the cleaning the tile and grout including stripping off old coatings including sealers and waxes. To do this we applied a strong solution of Tile Doctor Pro Clean mixed 50:50 with Tile Doctor Remove & Go; when you have a combination of unknown contaminates, stubborn stains and dirt, a combination of products can be the best option. The solution was left on the floor around fifteen minutes before being worked into the floor, I find a longer dwell time makes the removal of sealers, adhesives, paints and grime easier. We then agitated the wet area using a black scrubbing pad fitted to a rotary floor buffer and used detail brushes for the more the intricate areas. This process turned the cleaning solution in a black slurry which was extracted off the floor using a wet vacuum and the floor then steam cleaned to remove any remaining product residue and believe me there really was a lot of dirt to remove. A thorough rinse followed, and the floor was left for a short while to dry. Next up we tackled the repairs, starting with the removal loose, cracked and broken tiles. Luckily, I had managed to source some new and reclaimed tiles locally and so we replaced these and then re-grouted. We then left the tiles overnight to dry. Returning in the morning a consolidator primer seal was then applied using Tile Doctor Colour Grow which improves colour followed by four applications of Tile Doctor Seal & Go this is a specially formulated water-based blend of acrylic polymers that provides both a stain resistant surface and a protective seal as well as a lovely natural satin finish. 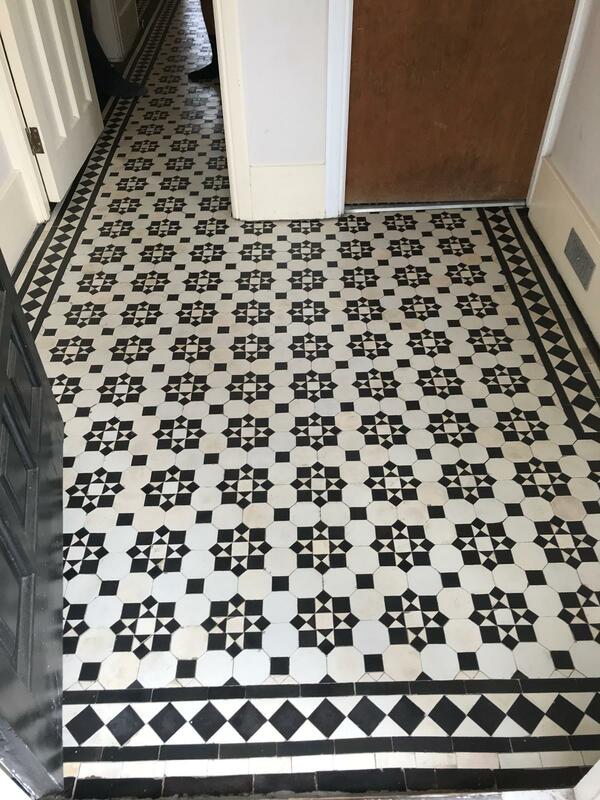 The floor looked so much better and the black and white tiles are now very vibrant, the client is pleased they ripped up the carpet and now have a feature hallway which is in keeping with the property.